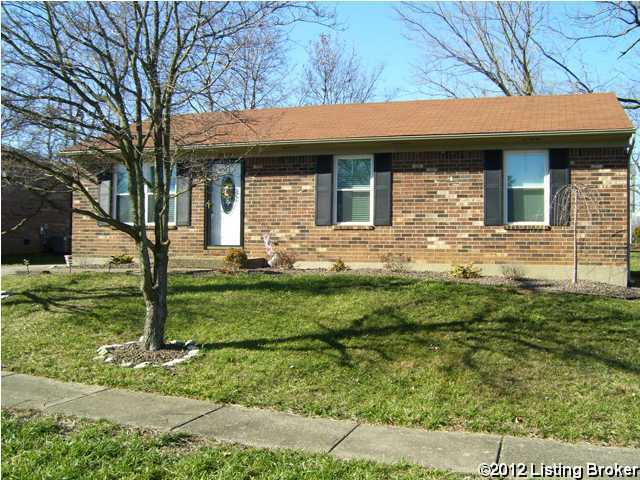 ALL BRICK RANCH IN DESIRABLE CHENOWETH HILLS. ADORABLE AND UPDATED TO THE MAX, DESCRIBES THIS THREE BEDROOM, ONE AND A HALF BATH, THAT'S MOVE-IN/DO NOTHING CONDITION. BEAUTIFUL HARDWOOD FLOORS IN KITCHEN ALONG WITH BEAD BOARD, NEW CABINETS, COUNTERS AND CORNER SINK. BOTH BATHROOMS HAVE EVERYTHING NEW, INCLUDING FLOORS. REMAINDER OF HOME HAS NEW CARPET AND PAINT. OUTSIDE THERE ARE TWO STORAGE BUILDINGS/SHEDS (ONE MEASURES 10' X 14') AND AN INVISIBLE FENCE AROUND THE PERIMETER OF THE BACK YARD. EVERYTHING IN THIS HOME HAS BEEN PROFESSIONALLY DONE. COME AND CHECK IT OUT---YOU WON'T BE DISAPPOINTED. Direction: TAYLORSVILLE ROAD TO WILLOWVIEW DRIVE (SPRINGVIEW SUBDIVISION), RIGHT ON BAYPORT ROAD, LEFT ON CHENWOOD LANE, LEFT ON CONTI LANE. Chenoweth Hills is a subdivision within the city of Louisville, Kentucky. There are currently 0 Homes for Sale within Chenoweth Hills, with asking prices ranging from $0 to $0. The average list price per square foot of the available inventory in Chenoweth Hills is $0, which is the Louisville average of $155. The Average Sales price of all sold real estate in this subdivision for the past year is $190,669. Recent comparable homes have been selling for 98.24% of their asking price. Waterfront homes represent of the available Chenoweth Hills inventory. The population of Louisville, according to the 2010 Census, is 597,337. The total number of households in the zip code of Chenoweth Hills is 15,222, with an average household size for of 2.51 people. The total number of renter households within the zip code of 40299 is 3,033, which means that 80.07% of households in this zipcode are owner occupant households. 10907 Conti Ln, Louisville KY 40299 is a Home, with 3 bedrooms which is recently sold, it has 1,050 sqft, < 1/4 ACRE sized lot, and Driveway,None parking. A comparable Other, has bedrooms and 0 baths, it was built in and is located at and for sale by its owner at $ 0. This home is located in the city of , in zip code , this County Other, it is in the Subdivision, and WATTERSON WOODS are nearby neighborhoods.